Ash tracks down the possessed Delta Oldsmobile. Genre cinema has given us some great stories of man versus motor - mild mannered city boy Dennis Weaver targeted by the driver of the world's scariest truck in Steven Spielberg's 1971 debut Duel; James Brolin's rugged Sheriff defending his small town from the evil intentions of a possessed vehicle in The Car; Trish Van Devere pursued by a ghostly hearse in, er, The Hearse from 1980. 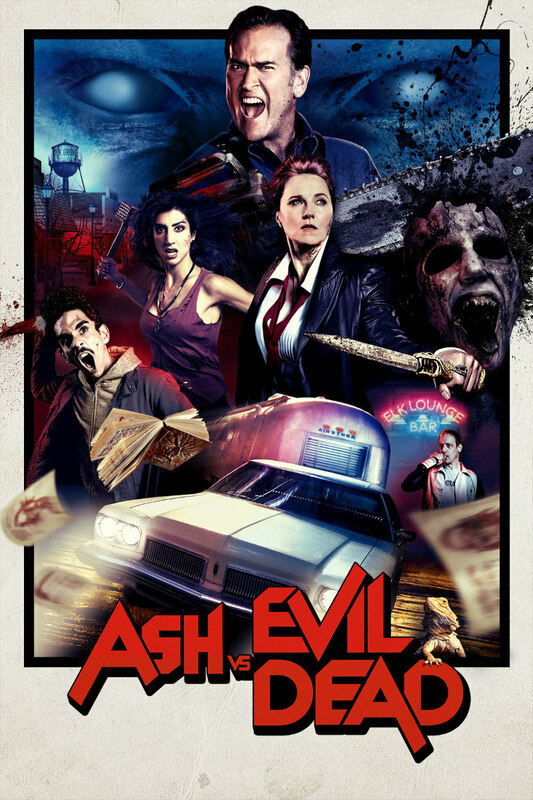 Between this episode and last week's, Ash Vs Evil Dead took time out to spin its own mini killer car flick, with the Necronomicon taking control of Ash's (Bruce Campbell) beloved Delta Oldsmobile and wreaking havoc in his hometown of Elk Grove, including running down his old man, Brock (Lee Majors), at the shocking climax of last week's installment. The killer car movie this most closely resembles is of course John Carpenter's Christine, right down to the car's penchant for blasting classic rock as it splats teens' brains across its fender. Vowing to avenge his Dad, Ash tracks the car down to The Smash 'Em Up, Elk Grove's local demolition derby, and we get a bit of Evil Dead lore, learning how the car originally belonged to Brock, who purchased it at said location. Along the way, Pablo (Ray Santiago) finds himself trapped inside the possessed car, alongside screaming teen Lacey (Pepi Sonuga), who just happens to be the daughter of Ash's high school sweetheart, and who we suspect will become Pablo's new love interest, if she can survive long enough. In a set-piece nicely constructed by director Michael J Bassett, Ash faces down the Delta like a matador taking on a bull, while Brock dispenses advice from beyond the grave, Obi Wan style, suggesting we may not have seen the end of this father-son dynamic. Freed from the car, Pablo begins hacking away at the Necronomicon until it bargain pleas, promising to return to its dimension if Pablo lets it alone. It does so through a portal formed in the Delta's trunk, which results in an end of episode stinger that suggests it may not have been a wise choice. 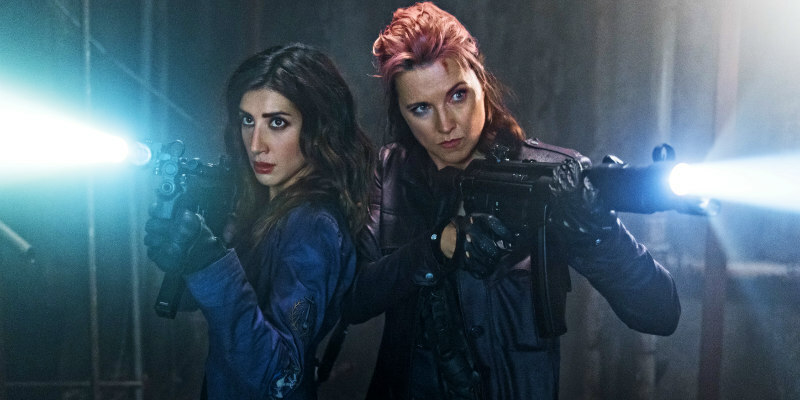 Meanwhile, this week also sees Kelly (Dana DeLorenzo) and Ruby (Lucy Lawless) begin their new Deadite hunting partnership, taking out one of the latter's 'children'. A face-off with Ruby's nemesis, demon 'Bael' can't be far off. The comic highlights of DUI were Ash's haphazard attempt to put his father's pulpy face back together after the Delta squashed it under its tire, and the Necronomicon spouting fury in all its manic glory. Season 2 has shifted into fifth gear at this point, so let's hope it can maintain such quality for the remainder of the season.